The Tablet PC is a mobile computer that incorporates a flat touch screen, is operated by touching the screen and by using an on screen keyboard, and is capable of running the full Windows operating system. Touching the screen is not just a simple matter, since it can involve up to ten points of contact and a range of touch gestures. Tablet PCs can also incorporate sensors, to detect screen brightness, rotation, tilt and motion, and location and direction. The Tablet PC may include cameras, front and back facing, and may allow storage devices and other components to be attached. You can use them with printers, with networks, over the Internet and for Cloud computing. 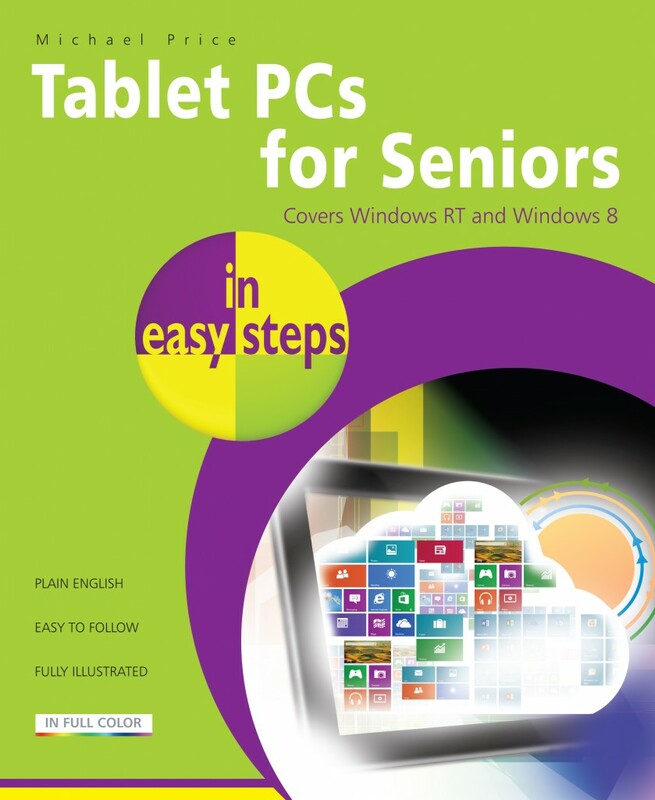 If you intend to buy a Tablet PC for yourself or for a gift, or indeed if you’ve been given one and have no idea what to do with it, Tablet PCs for Seniors in easy steps is the book for you! After explaining the types of Tablet PC and options available, the book then covers all the functions you’ll need and will help you to set up, personalize and maintain your Tablet PC. You’ll learn how to connect to and browse the internet, send and receive message and emails, and maintain your contacts and calendar. Apps (short for applications, which is just another word for computer programs) form a major part of Windows 8 and you can extend the functions of your Tablet PC by downloading Windows 8 Apps from the Windows Store. Tablet PCs for Seniors in easy steps looks at a number of the most useful of these. You’ll want to make sure that your Tablet PC is kept safe and secure and ensure that the software on your system is kept up to date. 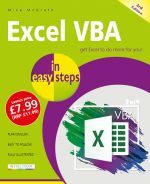 Tablet PCs for Seniors in easy steps will guide you through everything you need to know to get the most out of your new Tablet PC, showing you how in larger type for easier reading. 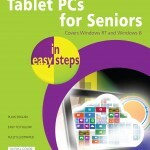 Tablet PCs for Seniors in easy steps concentrates on the Tablet PCs that run the Windows operating systems - Windows RT (for ARM computers) or Windows 8 (for Intel and AMD based computers). For use with tablets such as the Asus VivoTab RT, the Microsoft Surface, the Dell Ultrabook, the Lenovo IdeaPad and ThinkPad Twist, and any tablet running the Windows 8 operating system.